GCA has advised QuoteWizard, one of the largest insurance comparison marketplaces in the US, on a definitive agreement to be acquired by LendingTree (NasdaqGS:TREE) for a total consideration of up to USD 370.2m, consisting of USD 300m in cash at closing and contingent payments of up to USD 70.2m, subject to achieving certain growth targets over a three-year period. Based in Seattle, US, QuoteWizard.com LLC is a leading customer acquisition technology marketplace. Since its founding in 2006, QuoteWizard has helped nearly 40 million consumers find automotive, home and health insurance policies with top-tier insurance carriers. LendingTree Inc., which is located in Charlotte, US, connects consumers with financial service providers of mortgage loans and refinances, auto, personal and business loans, student refinances, credit cards and more via its leading online marketplace. 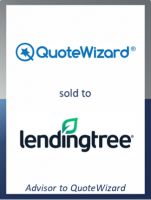 QuoteWizard will significantly expand LendingTree’s relationships with insurance carriers and agents and enable cross-selling of mortgage- and home-related products that are core to LendingTree’s mortgage market. "By acquiring QuoteWizard, LendingTree will establish itself as a leading player in the online insurance advertising industry, while continuing our ongoing diversification within the financial services category," said Doug Lebda, Founder and CEO of LendingTree. "With QuoteWizard's proprietary technology platform, direct relationships with over 30 of the top-tier carriers and a network of nearly 10,000 agents, combined with LendingTree's strong brand and extensive reach, we will be well-poised to capitalize on the growing market opportunity that stems from the ongoing digitalization of the financial services industry." The transaction is subject to regulatory approval and other customary closing conditions and is expected to close in Q4 2018. GCA served as exclusive financial advisor to QuoteWizard in connection with this transaction.